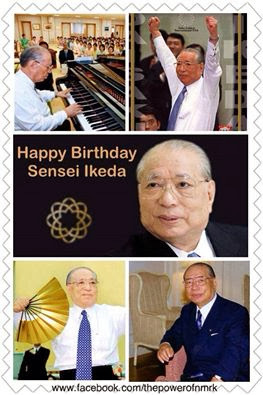 Nam Myoho Renge Kyo ~ Chant For Happiness: Happy 86th Birthday Daisaku Ikeda! May you live a long and healthy life. and create a world of peace and respect for all life.